It is with heavy hearts that the family of Allyson Elizabeth Glassford announces her passing on July 10th, 2018. Allyson will be sorely missed by her soul mate and loving husband, Roger. She will always be in the hearts of her daughter Lisa (Martin), and her bonus sons Clark (Shayla) and Alex (Nina). Allyson’s laughter and smile will always be reflected in her grandchildren Ceileigh, Keaton, Makena, Sam, Mackenzie and Jake. Allyson held a special place in her heart for all her family and will leave a long lasting legacy of kindness, strength and determination through her brother in law Michael, niece and nephews Robert, Samantha; Christian (Michelle), Patrick (Kelly) and David. When Allyson courageously left us she was welcomed with open arms by her sisters Jackie and Pauline, and her parents Ralph and Helen Hubble, forever in a loving embrace. Allyson’s friends were as important to her as family. 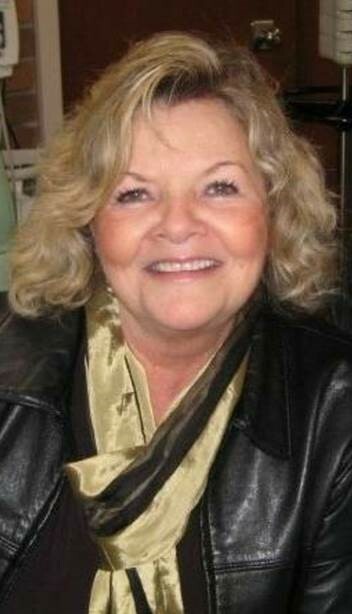 She created long lasting friendships during her school years in North Vancouver, her successful career as owner of Heffalumps & Woozles and Heffies in Mount Royal Village in Calgary, and her retirement years in Parksville. Allyson’s legacy will be as far reaching as was her ability to connect with people through love, compassion and the genuine care given to everyone she met, a glimpse of how to live your best life no matter the circumstances. Allyson loved to paint in watercolours; however the greatest canvas she painted was her life, throughout which she always held the belief to “live in the moment”. “If there ever comes a time where we can’t be together, keep me in your heart, I’ll stay there forever”. A celebration of life will be held on October 13th at the Royal Vancouver Yacht Club, 3811 Point Grey Road, Vancouver, BC from 11:00 am - 3:00 pm. Please RSVP to CelebrateAllysonG@gmail.com.